Recently we completed a trip from Saigon to Hanoi which involved traveling in an air conditioned van and by train, cycling, visiting places of interest, swimming, shopping and eating. We were very fortunate to have Mr Sene as a guide for the majority of our trip. He was extremely helpful, had a great sense of humor and we had a lot of laughs. With his help we cycled over the Hai Van Pass which was a huge achievement for us, we even had laughs being cooled off with the hoses on the way up. We would love to return to Vietnam and would like Mr Sene to be our guide again and would have no hesitation in recommending his services to others who wish to have a superb adventure. 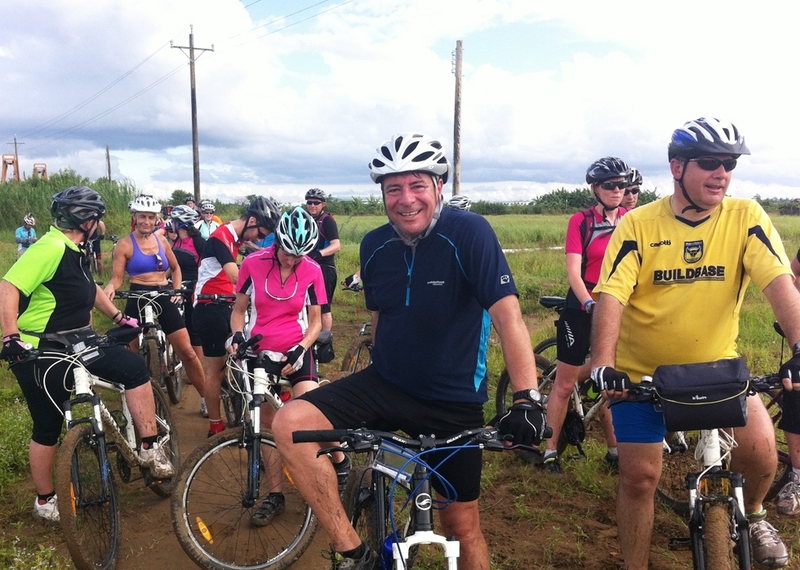 I had a great time doing this biking tour although some of those hill climbs in that Vietnam heat were tough. However when the going got a little to much we simply moved into our air conditioned tour van which was well supplied with water bottles and snacks. It was wonderful being able to rest up for a spell if the body was starting to feel a little weary. Mr Sene and his driver looked after us with due care and consideration in all regards. Also Mr Sene has a wonderful sense of humour and we all shared a lot of laughs. The train journey was an experience in itself, however the carriages were air conditioned and relatively comfortable plus Mr Sene supplied us with hamburgers and chips for the 600km trip.In summing up I found the people of Vietnam to be wonderfully helpful and friendly. All hotel accommodation was clean and tidy and the food simply delicious. I recommend this tour to anyone seeking a biking experience in Vietnam. We are a New Zealand couple with a 6 year old son (on his half bike), we cycled from Thailand through Cambodia to Vietnam in August 2014 for 2 weeks.We had an amazing time, felt completely safe and very well looked after. Sene has an amazing, happy, positive attitude and we felt immediately at ease with him. The trip exceeded our expectations. The only negative is that we couldn’t carry on for longer! In the future we would love to do another tour of Vietnam with Sene. I would recommend this tour company to any prospective clients – especially for families with young children. 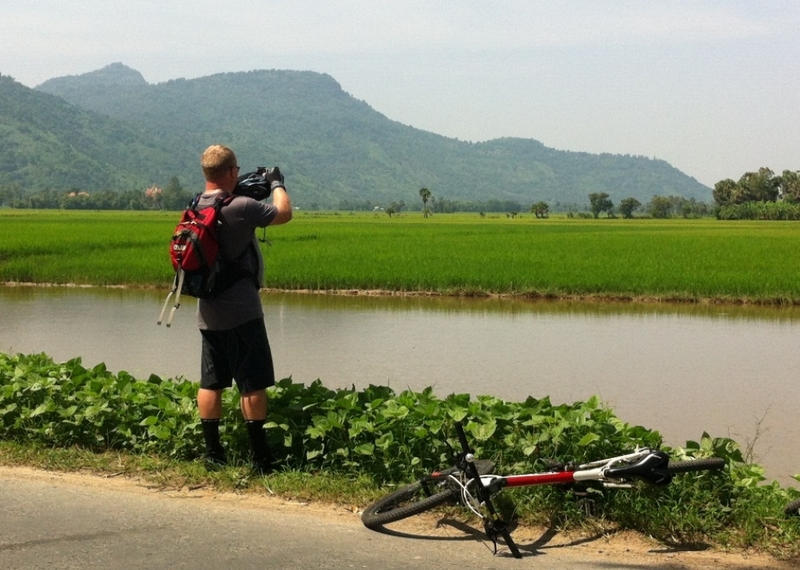 I had an awesome cycling trip from Siem Reap, Cambodia to Saigon, Vietnam through Vietnam Adventure Cycling. Organization, food, bikes, hotels, logistics were all managed well and it was such a great experience. In my opinion, the best method of travel to see more remote areas of these 2 amazing countries! I loved the sandy single track around Siem Reap and the Angkor complex while visiting temples! Our Cambodian guide – Chamrong and driver – Samlot were amazing, making sure we were all taken care of the entire time we spent in Cambodia! We met Sene and our Vietnamese driver,Mr Lim at the border and spent the following few days making our way to Saigon via the Mekong Delta. While it was hot beyond belief, we had regular snack and beverage breaks and the a/c van was always near. Sene was a great cycling guide and I am extremely grateful that he agreed to bike through 50k of torrential monsoon rain b/c I wanted to keep biking instead of taking the van! 🙂 Turned into one of my favorite cycling days!! Highly recommend Vietnam Adventure Cycling, guides Chamrong and Sene and driver Samlot,Lim! Thank you! 🙂 jackie o.
Sene met us at the hotel on the firstday of our adventure cycling from Bangkok to Saigon. Sene and our driver Lin was fantastic! Lin kept a very clean vehicle and every time we had a rest stop he would set up our snacks and drinks working hard looking after us and keeping the vehicle in great working order. Sene our guide spoke excellent English and new the area where we were cycling through very well. He was very attentive to our needs at the restaurant ordering food and made sure our accommodation was to our needs. Sene was very organised and our cycling through this beautiful country went very well. 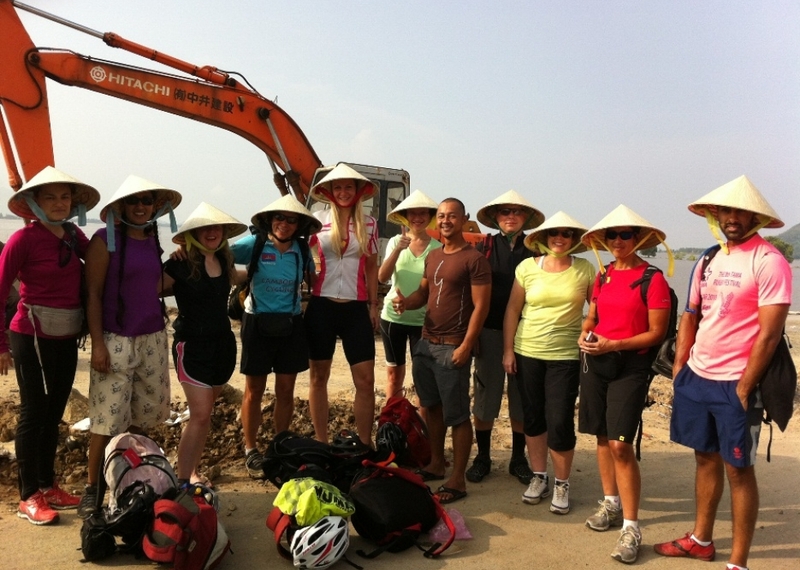 I highly recommend Vietnam Adventure Cycling and if you have Sene as your guide I know your trip would be fantastic just like ours. 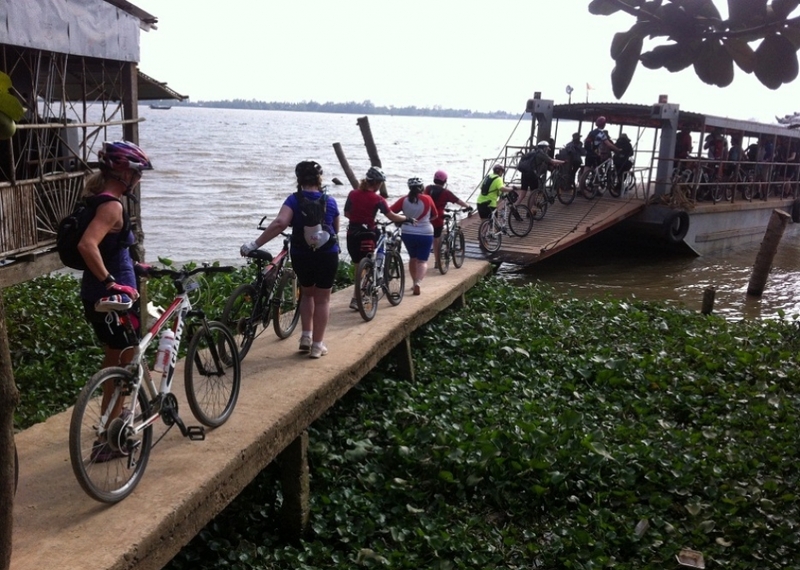 We rode on the “meandering Mekong” tour with Sene for 5 days from 21/6/14 to 26/6/14. Good luck Sene and Vietnam Adventure Cycling—you deserve to do well. Thank you and good luck for the future. 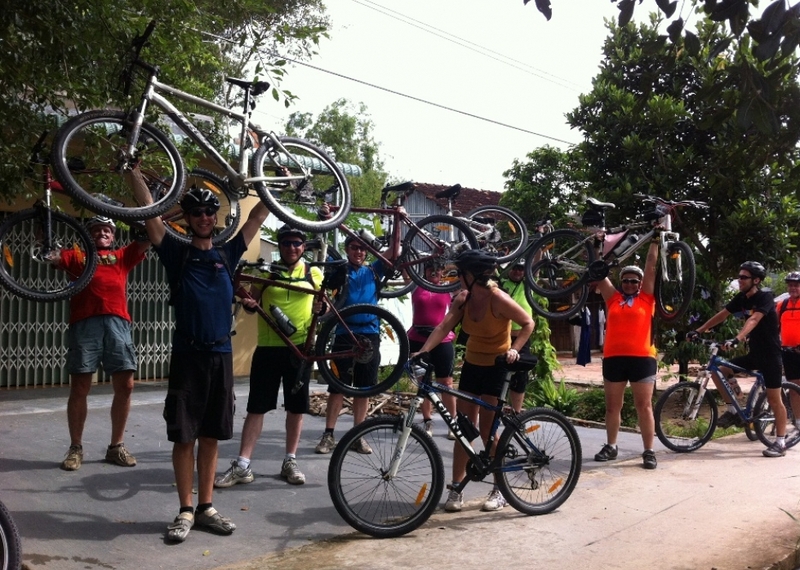 We had a fantastic week cycling with Sene in April 2014, from the Cambodian border to Ho Chi Minh City through the Mekong Delta. Throughout the trip Sene ensured we were safe, took us to lots of local coffee shops and restaurants and scenic places along with the tourist attractions. He gave us a wonderful experience of Vietnamese life, local food and culture. His English was excellent and he was happy to answer all of our questions. The bikes provided were good quality and comfortable as was the accommodation. Cycling is a great way to see this part of the world; so much better than a bus trip – not only do you see the sights, but hear the sounds and enjoy the smells. Sene always found interesting small back roads, which gave us a close-up look at village life. We are in our mid-50s, of average fitness, and it was very hot and sweaty work every day, but the terrain is dead flat. We averaged 60kms of cycling a day, and in between rides we were driven in a comfortable van. Sene and the driver were friendly and happy to share their country and their personal lives with us and tailored the experience to our interests and ability. 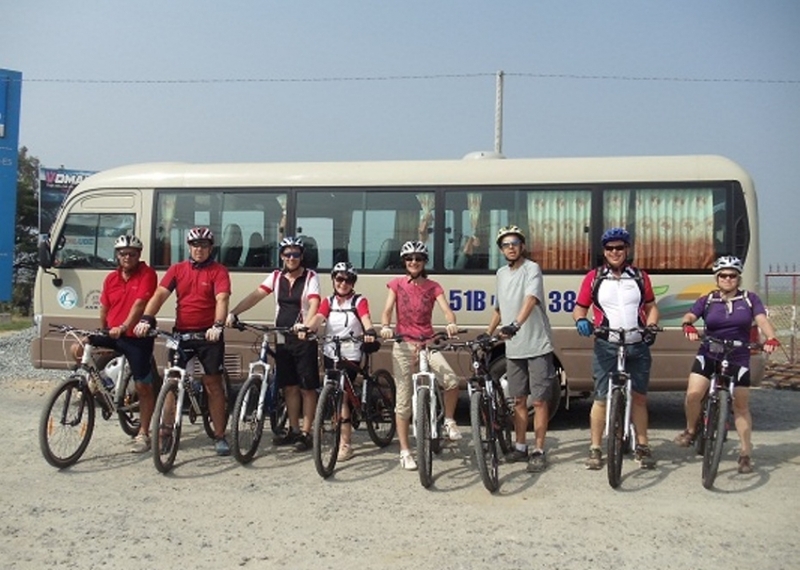 We highly recommend Vietnam Adventure Cycling, we had a fantastic time on our trip. 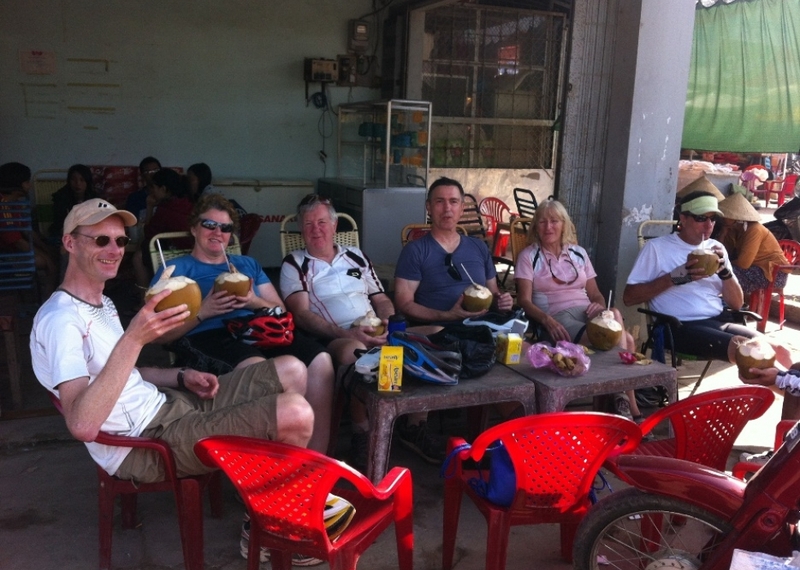 We very much liked our cycling trip to Vietnam and really appreciated your leadership when we cycled to Hochiminh city. Our Vietnam trip started at the Tinh Bien International border crossing along the Mekong river delta road to Chau doc, the killing fields at Bachuc, then on to Can Tho where we had a very interesting time seeing the river people as well as the river market. The food and local fruits were excellent. The support crew was also very good. We also really enjoyed our bike trip from Can Tho to Tra Vinh with several ferry trips and the chance to cycle on the islands. While our trip ended at My Tho. We also appreciated your getting us to our hotel in Hochiminh city so that we could get out fights back home. Your efforts made a great experience for us and we would recommend your company to others who would be interested in making this trip. 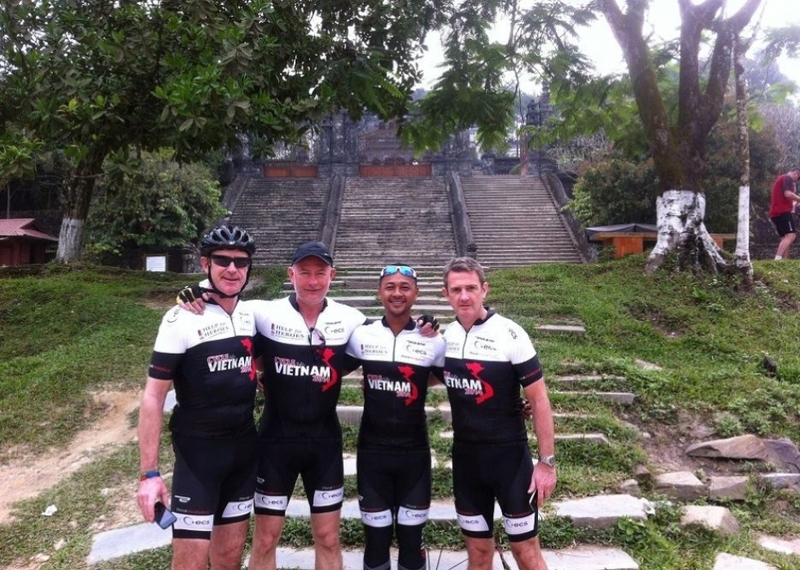 We are thinking about doing another cycling trip in Vietnam and look forward to working with you in the future! This was one of my best trips ever. Cycling through Vietnam across the Mekong Delta, along red earth tracks between palm trees one minute, and through a network of narrow paths between houses the next, was so much fun. Sene was a great guide – lots of fun, and looked after the whole group well – doing the occasional short race for those who wanted it, and then falling back to look after those who were happy to just meander along. I thoroughly recommend a holiday with this company. I have to say our trip last November was amazing – we biked to all the places in the original trip proposal plus we had your expert commentary as to what we were viewing and why it was important. If you want to use me as a reference with prospective bikers, please do. I will give you high marks. Sadly I doubt I will be returning to Viet Nam, since the long plane ride to and from was too much for me. But, I am trying to convince my son and his wife to take the trip. Again, thank you so much for guiding us on a trip of a lifetime. All the best with your company. Hi Sene, a big thank you for an unforgettable bike ride and sharing the beauty of Vietnam and Cambodia. You really showed us (group of 9) hidden treasures off the beaten track and shared your culture – which were my favourite parts. 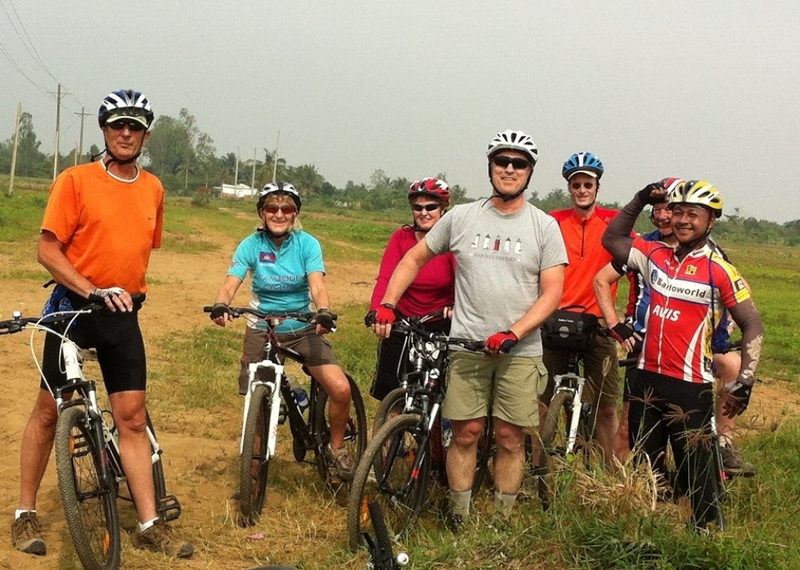 How special to ride through little hidden villages, meet the locals (the friendliest people) or cross the mighty Mekong. I always felt safe with you. Also the organisation was very well of the hotels (good standard), routes well planned & varied, bikes & equipment in excellent standard, everyone’s extra requests were dealt with efficiently and fast (and with a smile :)), always plenty & good food & water, good cycling pace, multi-lingual. I can’t wait to come back and do a tour with you again. Thanks again to you and to Mr Lim for giving us such a good time on our cycle tour last week. Your help in showing us the real Cambodia (roadside weddings, pavement restaurants etc) was much appreciated and some photos are attached. With very best wishes, Claudine and Nick. We met Sene in Ho Chi Minh city. Sene spoke English well and was easy to communicate with and made sure that we felt comfortable and at ease. Sene had a great sense of humour, was light and fun to be with. Sene was well informed about historical places and relayed information in a clear and interesting way. Sene was easy to tour with, he made our visit to Vietnam fun, memorable, exceptional. The bike tour that Sene lead was a success because of Sene and how well he treated us. I can not thank him enough for the excellent holiday that we had in Vietnam. Iain Stewart and Regina Clark.